Mr Clean former Prime Minister Dr Manmohan Singh has been summoned as accused by a Lower court in coal scam case. Which Has Angered And United Congress Party. Another Party In This case Kumar Mangalam Birla also moves SC against trial court order summoning him as accused in a coal block allocation case. Former Prime Minister Singh is said to have been examined on 27 January by CBI in the coal block allocation case relating to Hindalco but neither he nor the agency confirm it. Smt Gandhi along with top Cong leaders marched towards Dr Manmohan Singh’s residence to express solidarity with the former PM. 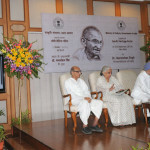 The Prime Minister, Dr. Manmohan Singh has greeted the people on the festive occasion of Holi. In a message, the Prime Minister said that the festival heralding the onset of spring celebrates the different hues of the country’s cultural mosaic and is an occasion to rejoice in the glory of nature in all its vibrant colours. The festival symbolizes the country’s spirit of unity, harmony and tolerance. ‘May the festival bring health, happiness and prosperity to all’, the Prime Minister wished. B J P Again Criticized weak kneed policy of Center against terrorism and Opposed Talk Diplomacy With Pakistan Bhartiya Janata Party[ B J P ]strongly condemned the terrorist attack launched today on the police and security forces in Jammu region. Criticized weak kneed policy of Center against terrorism and demanded that meeting of the Prime Minister Dr. Manmohan Singh with his Pakistani counterpart at New York should have been called off. B J P President Raj Nath Singh said “These terror strikes on Indian soil are carried out by anti- India forces operating from Pakistan. Since the incumbent UPA government has been pursuing a weak kneed policy against terrorism for the past many years, the terrorists have been emboldened to strike anywhere in India, almost at will. Contrary to the Prime Minister Dr. Manmohan Singh’s belief there is no signs of improvement on the ground in Pakistan as the ISI and Pakistan army continue to play its active role in destabilising India’s internal and external security. Let the newly elected government led by Miyan Nawaz Sharif be given some time to prepare the ground for talks by taking strong action anti- India forces operating from Pakistan. Therefore the scheduled meeting of the Prime Minister Dr. Manmohan Singh with his Pakistani counterpart at New York later this week should have been immediately be called off. As per media reports the Prime Minister has shown no indication to cancel his appointment with Pakistan PM. Ever since the UPA government has come to power it has adopted a compromising Pakistan policy. Be it ‘ Havana Declaration’ or the ‘Sharm al Sheikh’ fiasco the UPA govt has considerably weakened India’s position in Indo-Pak bilateral relations. When the NDA was in power we had engaged Pakistan from a position of strength and achieved the ‘Islamabad Declaration’ in which Pakistan promised to us that terrorist activities would not be carried out from Pakistani soil. The UPA government has lost that diplomatic edge. Pakistan should be pursued compelled to implement ‘ Islamabad Declaration’ signed on January 6, 2004 before initiating any meaningful dialogue. Pursuing a spineless diplomacy at this juncture will present India as a ‘soft state’ which could be pushed around by any big or small country. The Prime Minister and the UPA government seems to be in a hurry to initiate dialogue with Pakistan. It also gives an impression as if he is motivated by certain conservative political motive instead of safeguarding our national interest. The BJP believes that there should be no talks with Pakistan unless the environment is conducive for dialogue. मेरठ जिले से सटे बागपत में सांप्रदायिक तनाव फ़ैलाने के प्रयास में पुलिस ने 899 लोगों को गिरफ्तार किया है जबकि 2225 लोगों के खिलाफ 107,116 के तहत कार्रवाई की गई है। 35 अवैध शस्त्र बरामद किये गये हैं और 126 लाइसेंसी हथियार जमा कराये गये हैं। भाषा ने बागपत पुलिस अधीक्षक लक्ष्मी सिंह के हवाले से बताया कि यह कार्रवाई 28 अगस्त से अब तक की गयी है।इसके अलावा 81 लोग घायल हुए हैं जिन्हें अस्पताल में भर्ती कराया गया है|मेरठ के डी एम् रिणवा ने भर्ती घायलों के इलाज का निरीक्षण किया[फोटो] |. सिविल लाइंस, शहर कोतवाली तथा नई मंडी में कर्फ्यू अभी भी जारी है| घटनाओं के सिलसिले में 17 प्राथमिकियां दर्ज की गई हैं. इनमें से एक प्राथमिकी सुखेडा गांव में आयोजित हुई महापंचायत के सिलसिले में है जिसमें कथित तौर पर भड़काउ भाषण दिये गए जिससे हिंसा हुई. 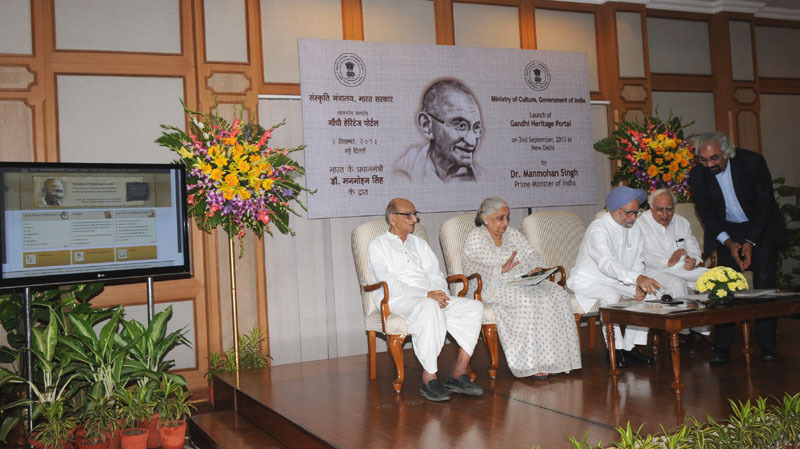 The Prime Minister, Dr. Manmohan Singh launching the Gandhi Heritage Portal, at a function, in New Delhi on September 02, 2013. The Prime Minister, Dr. Manmohan Singh meeting the captains of Industry, in New Delhi on July 29, 2013.